All prices PayPal G&S Delivered in US. I wanted to run these again and dropped prices 25.00-- buy both and pay 475.00 delivered. Bmurray and varga49 like this. 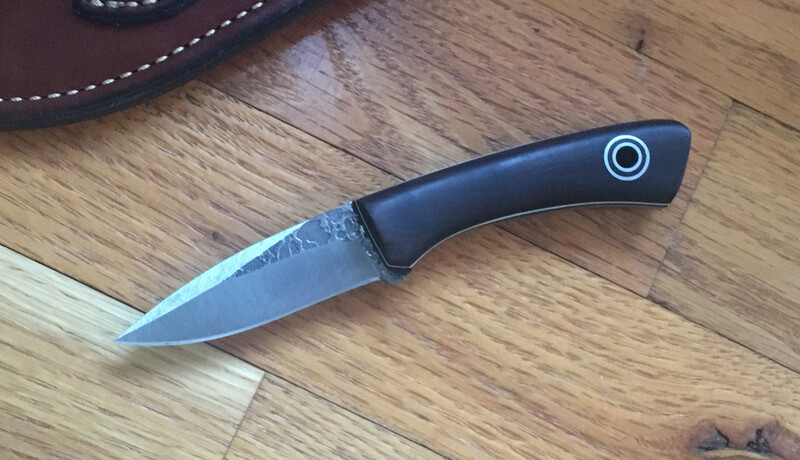 That Gaucho is an amazing knife. Mine finds a lot of kitchen time. Also Bill is a good guy to deal with. Blade 3.25" Handle 4.25" OAL 7.5"
the cpm154 stock is a bit over 3/32"
Bmurray, M4Super90 and Nbrackett like this. Price includes shipping with tracking & Insurance from AUSTRALIA. Please allow 5-7 business days for delivery. 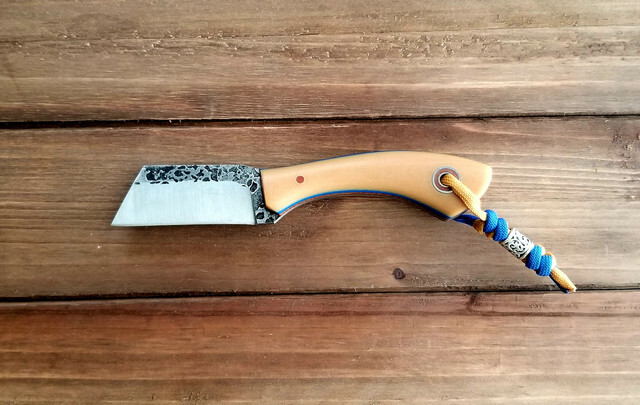 Knife is as new and has not been carried or used. This is for sale elsewhere as well so timestamp applies. Southern Gent, Choppaman, Apocryphiliac and 3 others like this. Carried, used and has a bit of patina. Just haven’t reached for it lately and thought I’d try to pass it on. 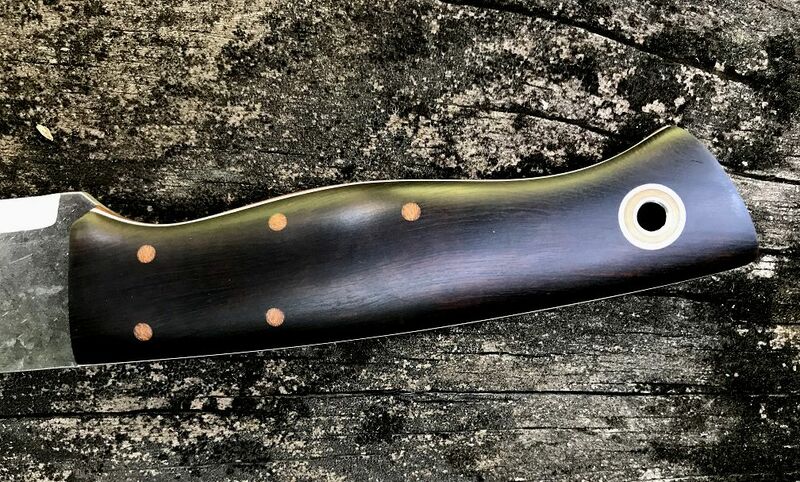 Sold with Diomedes APS Baron sheath - includes PayPal and shipping in US50. Choppaman, Lady1911, varga49 and 2 others like this. Email just replied to. Been battling flu in the 2 oldest today and trying to keep the 2 yr old and myself from getting it. Thanks for the heads up on the Inbox, now fixed. Shot in the dark..Wondering, since I see them for sale here if anybody out there may have a WAS New York Special they are looking to sell at a reasonable price? Fiddleback 3 Finger Joe up for grabs. In Great Condition, Light wear on this. First "I'll take it" followed by a pm for payment details gets it. 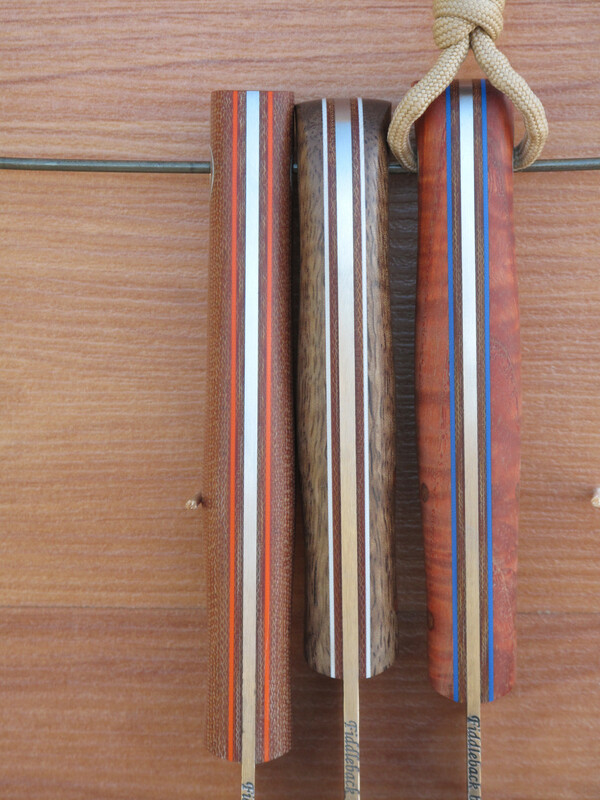 * Bone Micarta - Natural Liners W/Blue Pinstripes. $SOLD! Shipped (PayPal- I take care of fees & shipping). * Sorry, not interested in trades at this time. Choppaman, Nbrackett and varga49 like this. Choppaman, Apocryphiliac, a2vg1095 and 2 others like this. This was the last of the group buy Gauchos from last year. It is .105” thick AEB-L steel with a commando black G10 handle. 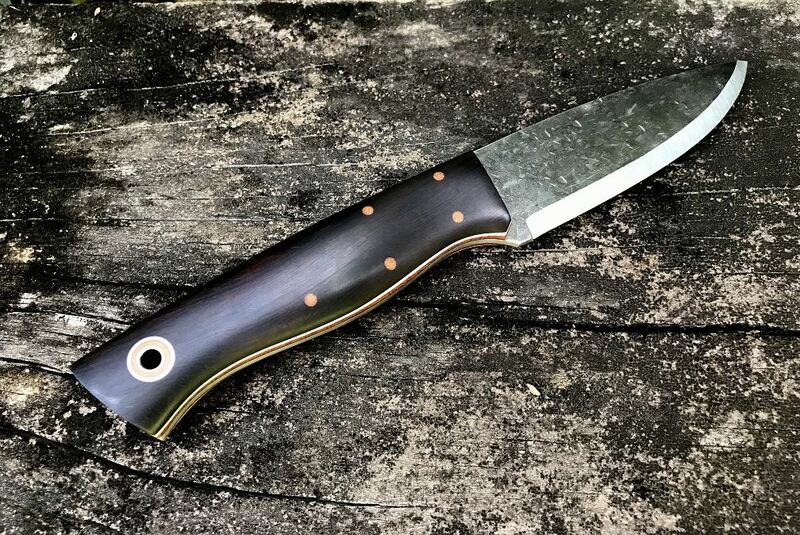 The original knife I was slated to get did not make it through production, so they had to order more material and start from scratch to remake it. 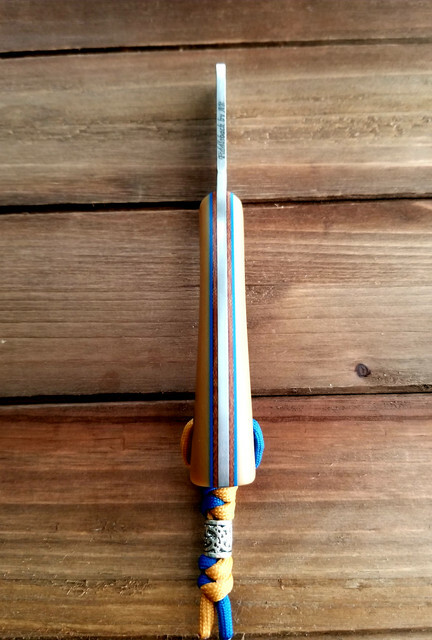 I asked them to order 3/8” thick G10 handle material instead of the standard 1/4” stuff so that the finished handle thickness would come out similar regular handles with liners & pinstripes even though this one is commando. The result turned out very nice. 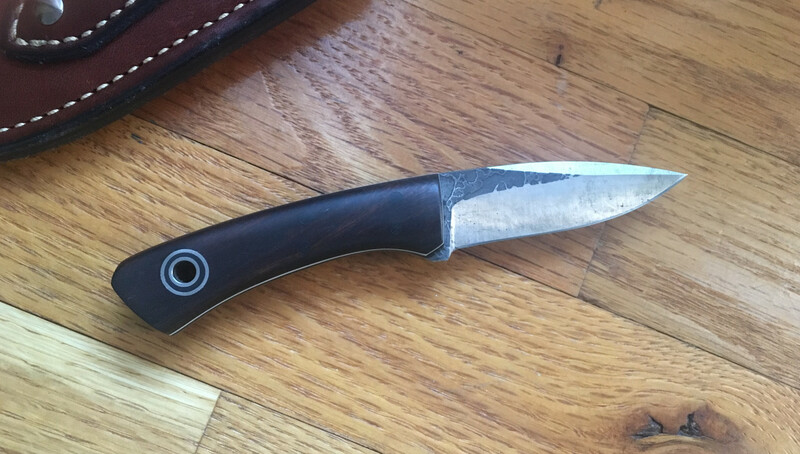 Other than a couple test cuts on paper, I have not used this knife at all. I have decided to let it go to someone who will use and enjoy it. No sheath included. Price: $SOLD includes domestic USPS Priority shipping and Paypal G&S fees. I am not looking for any trades at this time. Kirkwood, Choppaman, a2vg1095 and 4 others like this. Better pics of one I listed earlier. Handyman & JouFuu sheath. Never used or carried. Sheath seems to go well with it and it's a perfect fit. Choppaman, Apocryphiliac, schmittie and 6 others like this. 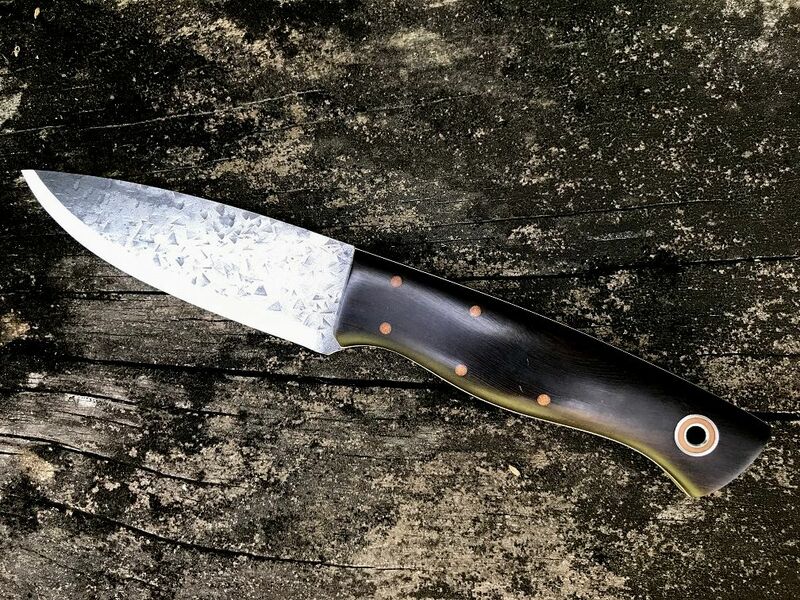 Fiddleback Forge Esquire in Navy Burlap with black liners and orange pinstripes; 1/8” A2 full skeletonized full convex grind. 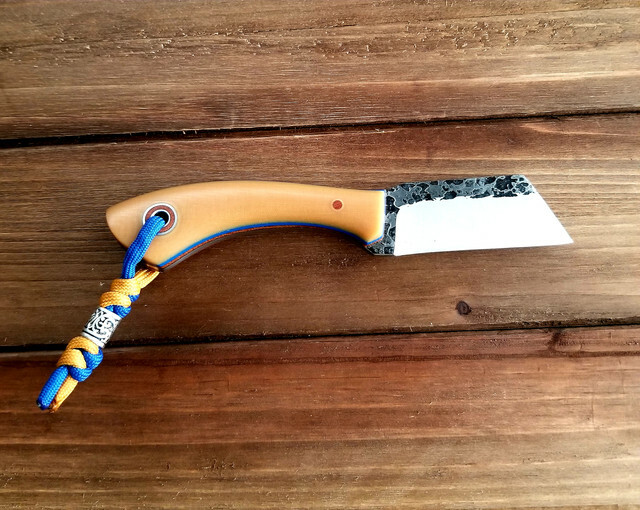 Great user small fixed blade. If you want more pictures please ask. Thanks for looking.Let me know if you have any questions. Pelagicfun, Choppaman, dc50 and 4 others like this.